Homepage for the subreddit user trade game. 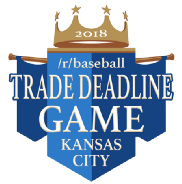 Check here for easy access to the latest trade thread and to get caught up on the latest TDG news. Sign up to get alerted when next year’s user registration goes live.